Welcome to the Lootmeister baseball betting strategy page! Here you will find a collection of well written articles focused on strategy and what it takes to win at baseball betting. If you're serious about winning long term, you need to have a plan. These articles will give you tips, advice and help you formulate just that; A guide to help keep you on track to long term profits! Enjoy! Changes in the Sport and How it Affects Big Favorites - Sure, it's tempting to fire a bet when you see a really good team and their best pitcher on the mound. But when you consider the odds of that bet and then ponder the structure of the sport, it's easy to see how betting that way can be hazardous to your bottom line. With how many games teams and pitchers typically lose, it's actually hard to justify betting on teams at certain odds. In this article, Loot breaks down why betting on heavy favorites is usually not the recipe for success. Things That Don't Show Up in the Stats - When betting on baseball, it's key to look beyond the obvious for more-telling information that can help us win bets. In other words, we need to look at more than just the things that turn up on highlight reels or in the newspaper. We need to take note of things that can offer clues as to how a team will perform on a given day. In this piece, Loot re-fixes our vision on some of the more under-the-radar aspects of the game that we need to factor into the equation if we want to become forces in MLB wagering. Click here to read! Sure Ways to Lose in the Long Run - In this article, Loot breaks down some of the different betting traits that will almost certainly lead to disaster when wagering on Major League Baseball. A lot of these behaviors are easy to develop and before we know it, our MLB wagering is suffering. Click here and get a refresher course on some of the no-no's in baseball betting. Considering the Small Things - When betting on baseball games, we often look at the big things--the hitters, the starting pitching, and other things that we are geared toward putting a lot of importance on. And that stuff helps--don't take us wrong! But to take your baseball handicapping to the next level, you will need to become more-geared toward considering the smaller factors of the game and how they often decide the results of games. Click here for more!! Our Goals as Baseball Bettors - Loot talks about the importance of setting realistic goals and attainable measures. Learn now that you can't win every game. Even the best MLB teams only win 60 percent of their games and there are very few of those. Loot preaches patience and sells readers on the idea that a slow drip fills the bucket. Staying Flexible - The baseball landscape is a constantly-changing one and it forces bettors to have a very fluid outlook on the sport. Remaining rigid is a surefire recipe for defeat. In this piece, Loot offers some tips on how to safeguard against becoming too rigid, while explaining how flexibility can be a key ally as we attempt to beat the book. Click here! Keeping Records to Identify Your Strengths and Weaknesses - This is a "must do" for serious bettors who want to beat the baseball bookies. By keeping track of your bets and taking proper notes, you will be able to figure out where you're doing well and where you're struggling. You can then focus on your strengths and avoid any situations that you've historically performed weakly. Baseball Betting Strategy: Being Selective - Loot points out that baseball is different than other types of gambling such as blackjack, where you keep firing on hand after hand. 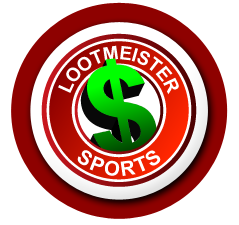 With a massive amount of games offered on this sport, Loot advises that you pick and choose and only wager on games in which the value is on your side. He likens MLB betting to being a boxer, only taking a jab when the proper opportunity arises. It's the only way to win long term! Looking For Improved Teams - Many sub par teams improve over time. These teams provide great value at the start of each season and it takes some time for people to notice and those teams betting lines to adjust. Loot gives pointers on how to spot these teams and cash in on them. Betting Underdogs in Toss Up Games - Loot talks about a familiar topic here... wagering on MLB underdogs because they pay more than you're risking which means that you can lose more than you win and still come out on top! Loot says "If you have to bet on a game for whatever reason and can't determine who the clear-cut favorite is, bet the dog! The Best/Worst Time to Wager - People's emotions run parallel to what's going on in their life at the time. If you've just won a wad of cash, gotten a promotion at work or have a vacation coming soon, odds are that you're probably in a really good mood and on top of the world. If you're broke, your car needs an expensive repair and your old lady is busting your balls, you're probably mentally down. You'd be surprised at how different your winning percentage against the spread is during each situation. Loot gets more in depth on the issue with hopes of giving you tips that will preserve your bankroll. Early Season MLB Wagering Strategy - Back in the old days, a starter would go the distance or at least deep into the game where he'd hand the ball over to the closer. Those days are LONG gone! Nowadays, a starter is only expected to go 5 or 6 innings, then a middle reliever, then a setup man and then the closer. This situation is even more prolific in the first month of the season as teams try to protect their arms. An astute bettor can find nice underdog value as the odds are often times overstated in April, due to big name starters commanding too much respect from the general betting public (squares). MLB Playoffs Betting Strategy - Baseball's regular season involves games where teams can lack ambition and "phone it in". The playoffs are a completely different animal as you're assured that each team will be "pulling out the stops" to try to win. This opens doors for us as baseball gamblers.